I'm forecasting another snowy five-day stretch for the West with two different storm systems lined up. In the Northeast, two shots of light snow are possible. 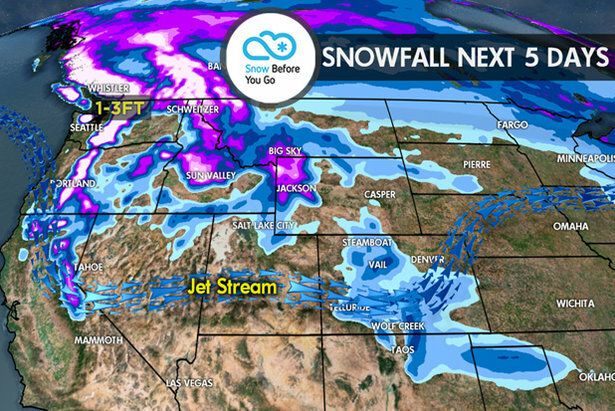 Colorado, Utah: Two storm systems will brush the mountains with light snow accumulations. Neither will be a direct hit, with the main storm systems tracking too far north. In Utah, the first storm arrives Friday night into Saturday morning. In Colorado, the snow arrives Saturday morning in the Central and Northern Mountains. The second storm system potentially hits next Tuesday. Wyoming, Montana, Idaho: The first storm system arrives in pieces starting on Thursday in Idaho and continuing on Friday and Saturday in Montana and Wyoming. Moderate snow accumulations. The second storm system arrives Monday afternoon and may continue in Idaho through Wednesday. The heaviest snow accumulations appear to be in Idaho. California: Two storm systems are lined-up, but the first storm on Thursday-Friday looks warm and will cut down snow accumulations in Tahoe. The second storm system, late Sunday through Monday, looks a touch colder with a better chance for snow accumulations. Pacific Northwest: There's a chance for snow each day through the weekend into early next week with back to back storm systems. 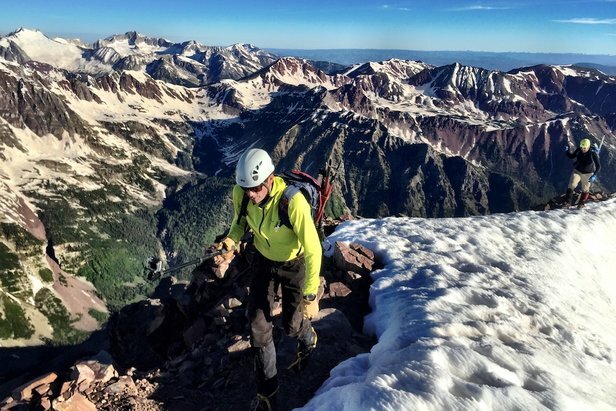 Heavy snow accumulations on the high Cascades and volcanoes. The second storm system early next week looks more intense than the first. Whistler Blackcomb: Back to back storm systems keep the snow coming through the weekend into early next week. Heavy snow accumulations. Northeast: I see two chances for light snowfall. The first occurs Thursday night through Friday and the second occurs on Monday. Tomer's Take: I'd consider the Pacific Northwest on Friday, Colorado on Saturday and Idaho on Sunday. Subscribe to our free newsletter and get the Snow Before You Go forecast delivered straight to your inbox every week!